To hell with the late fees. My sister has been hogging this book from the library, and can’t praise it enough. I’ve borrowed it, and want to order a copy for every person I adore. It has prompted me to use a leaf as a bookmark. 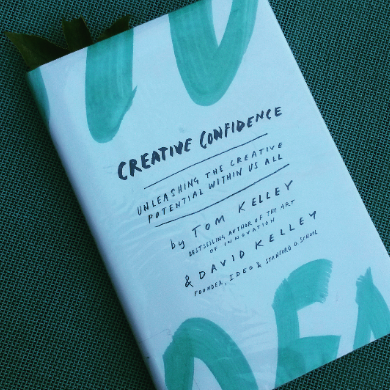 If there’s one book you read in your LIFETIME, make it Creative Confidence. Visually stimulating. Mental candy. ‘Nuff said. I love Marc and Angel’s site. 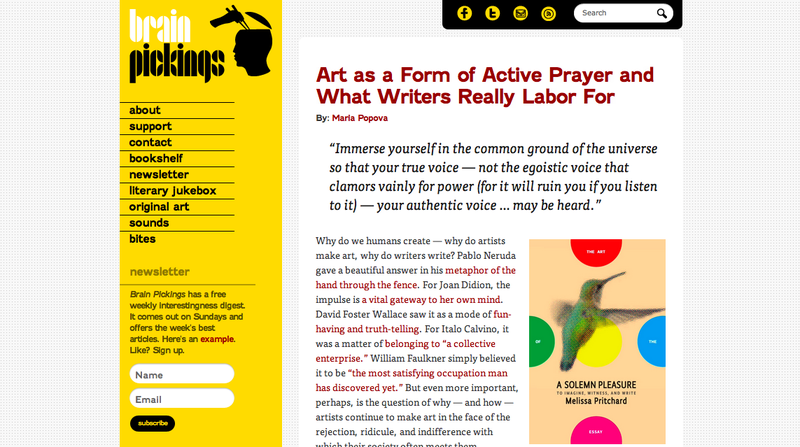 Take a gander whether you’re bored, stressed, or inspired. Comments, suggestions, constructive criticism are welcome below.